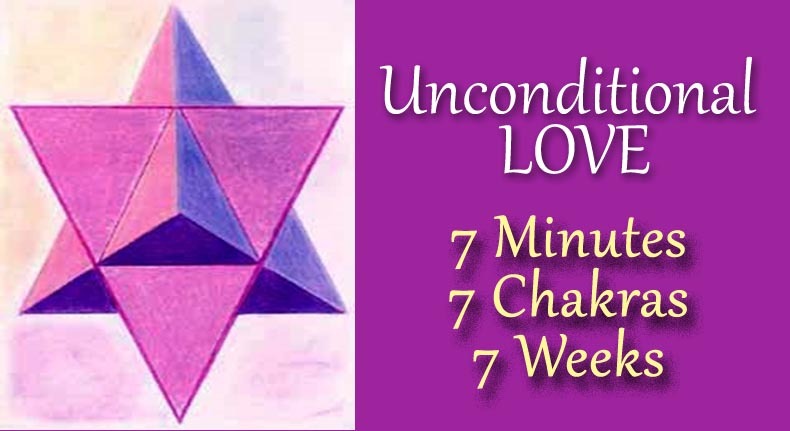 For the Unconditional Love Chakra #2 meditation, please click here. First, allow me to answer a question that I have been asked by many of my awakened ones. This question is, “How can I best serve the process of planetary ascension?” My first response is—patiently. I remember clearly when we, the collective consciousness of all the wonderful beings of my planet, decided on the experiment of creating this hologram so that we could experience having form in the lower dimensions. Our planet was meant to be fourth dimensional, which has polarities, but time, space and form are mutable. Due to the elasticity of form, those who had volunteered to be first dimensional beings such as rocks, river beds, and deep caves could easily transmute their frequency to take the second dimensional form of lower animals, trees and flowers. Furthermore, animals could become people and people could become animals. When Earth was in the fourth dimension, we all lived in constant communication with our Creator SELF, the Elohim, who held our form, and the Angels, who kept us in infinite connection with Source. Our shift into the extreme polarity of the third dimension began during the time of Atlantis. At first, Atlantis was as pure and innocent as Lemuria, its precursor and counterpart in the Pacific Ocean. Atlantis was in what is now the Atlantic Ocean and epitomized a primarily masculine energy. On the other hand, Lemuria was in what is now the Pacific Ocean and epitomized as primarily feminine energy. With the initiative power of the masculine energy, the humans of Atlantis began experimenting with creating new forms to understand the powers of the Elohim and to make new connections with Source. Because the Atlantians’ reality was fourth dimensional, these experiments were easy due to the transmutable nature of that dimension. Unfortunately, in their search for personal expansion, the Atlantian scientists gradually became arrogant and above the laws of Nature, which lowered their frequency enough to separate them from the constant communications with their SELVES, the Elohim, the Angels and Source. Without their spiritual connection, they also became separated from the collective and planetary consciousness. At that point, the Atlanteans began to desire greater individuality and more control over others and over their outer reality. Before this, every creature, whether in the form of a rock, plant, animal or person, was connected to Source and to me, Gaia, the mother of all earthly experience. Together with Father Sky, I, Mother Earth, united all reality in a holographic network projecting life as form on a fourth dimensional planet. All of us, even those who chose to take the form of rocks, waterways, or insects, knew that we were ONE consciousness plugged into the same holographic experience. We had all joined our consciousness together to create a joint reality in which we took forms. We all knew that these forms were mere costumes that we wore on the stage of life. Hence, just as certain workers may “trade shifts” with their co-workers, we saw nothing unusual in shifting into other forms or trading forms with others. In order to keep our matrix stable, the only things to remain static were the forms of Mother Earth (planetary form) and Father Sky (container/holographic backdrop for the form of Earth). Much to our unified surprise, the actors who joined our planetary stage gradually became very attached to their roles. They no longer wanted to share their form with others or alter their roles in our “stage of life.” Hence, the lovely, flowing holographic picture became more static. Furthermore, as the actors became too attached to their roles, they became more detached from their Creator SELF within them. Eventually, this detachment from Spirit became more and more prevalent. Because of this, the frequency of my planet began to lower and many fourth dimensional abilities were lost. While in the fourth dimension, all life was connected via consciousness, and we were all aware that together we projected out a holographic picture of our united reality. Through our connection, we knew that whatever we did to another, we simultaneously did to ourselves. Hence, any action that caused psychic or physical pain was soon discarded. Then the Atlantians, who saw themselves as scientists, grew to believe only in that which they could prove within the illusions of the holographic matrix. Hence, the truth of their higher dimensional reality became lost, as well as their connection with the multidimensional creatures of my planet. Because of their detachment, they could experiment with the form of others without any reflection or conscience. They tried to recover their lost skill of shape shifting, but instead of raising their consciousness into a frequency in which that would be natural, they began genetic mutations and painful operations. Their experiments created great pain and suffering for their “subjects,” and the concept of cruelty took root on my planet. With the invention of cruelty, came fear. This fear began to lower our frequency to the point where many were beginning to forget that our planet was actually a holographic projection, and we—all life—were united into ONE consciousness in the fifth dimension and beyond. By this time, we were in the Kali Yuga of the Atlantian era. The Kali Yuga is approximately a 2,000-year cycle that is furthest from the last excursion through the higher frequency energy fields once known as the Photon Belt. We are within the Photon Belt for 2,000 years, which is a marvelous Golden Age filled with high frequency light. Then, once we leave the Photon Belt, we go through five two-thousand-year, cycles, or Ages, in which there is less and less high frequency light. By the Kali Yuga, the final Age, we have been out of the Photon Belt for ten thousand years. Fortunately, the Kali Yuga is followed by the re-entry into the Photon Belt and another two thousand years of a Golden Age. Within the joint illusion of the time/space rotation around the holographic galaxy, the Photon Belt comes up every 10,000 years in the Age of Leo and the Age of Aquarius, which we are now entering. The vast concentration of fifth dimensional, and beyond photons, in the Photon Belt facilitates the awakening of the players of the hologram. Those who have already awakened to the fact that they are united in a joint holographic reality of life in form, as well as those who are awakened by the proximity of the Photon Belt, are presented with an opportunity to log-out of the virtual reality and return to their multidimensional, Creator SELF in the fifth dimension and beyond. “Logging-out” of the hologram is very different from dying. When you “die,” you have not yet awakened to your Multidimensional SELF or to the fact that YOU are, and have always been, the projector of the reality that you have experienced as a physical being on my planet. On the other hand, when you log-out, you have awakened to remember your SELF. Hence, you can consciously choose to return to your true Creator SELF. In other words, you ascend into the fifth dimension and beyond to merge with your Multidimensional Creator SELF. The entry into the Photon Belt has always served as a re-start of the holographic projection of form in the lower dimensions. The base of Mother Earth and Father Sky remained, but a new game began and new Souls could experiment with life in form. With the cycle ending with Atlantis, the re-start came none too soon. Due to the great amount of fear that had invaded the collective and planetary consciousness, the frequency of Earth had fallen from the higher fourth dimension, into the Lower Astral Plane (lowest frequency of the fourth dimension) and even into the third dimension. Since our reality was meant to be fourth dimensional, the third dimension was so low that the very holographic matrix was beginning to degrade. The end result of this degradation would be the total collapse of our matrix and total shut-down of the holographic projection. I sent out a call for assistance from the higher dimensions and wondrous light beings volunteered to enter our holographic reality to mend the matrix with their higher light. They were successful in that my Earth matrix remained, but the third dimension became my permanent resonance. They wanted to return to Gaia and repair the damage they had done. Fortunately, the volunteer Light Beings who answered our planetary SOS agreed to continue assisting our matrix through the next 10,000 years cycle before our re-entry into the Photon Belt. We are currently in the final years of the 2000 years of the Kali Yuga. As with the Atlantian times, we have been the furthest from our 2000 years of light within the Photon Belt. Hence, we have experienced a time of great fear and darkness. However, once we transmute that fear and darkness into love and light we have the greatest ability to remember our SELF and ascend back into our Creator SELF’s fifth dimensional reality. With this entry into the Higher Light, I, Gaia, will join you, and your personal ascensions will also be a planetary ascension. Furthermore, our segment of 3D space/time wishes to ascend back into the fourth and/or fifth dimension and beyond. Hence, all the players of our holographic matrix will return to the fifth dimension, as will the form of Mother Earth (planetary form) and Father Sky (container/holographic backdrop for the form of Earth). Because of this, great beings from the highest dimensions have volunteered to lower their frequency enough to enter a third dimensional form to heal my planetary matrix and participate in the glory of our great ascension. Now, it is returning to the Unity and timeless NOW of the fifth dimension from whence we came. I know that some of my humans may not be ready to release their third dimensional attachments, but arrangements have been made for them, as well. Our forms are now third dimensional and our auras, personal and planetary are fourth dimensional. It is within the fourth dimension that you rest in between your log-ins into yet another holographic life. Many of you who are incarnated at this time have practiced your contribution in life after life toward this great ascension. Between these lives, you have rested in the fourth dimension. Some of you have even been able to ascend and return to join your SELF in the fifth dimension and beyond. Many of those of you who have ascended have returned in this era to assist with our planetary ascension. In fact, you may well be among the original players and/or those who volunteered to save our matrix at the fall of Atlantis. Because of your past planetary service you wished to return to participate in the wonderful moment of the culmination of a great experiment. In addition, many members of other planets, galaxies and dimensions have been of great assistance from the fourth and fifth dimension. At some time, most of you fell asleep to your true Self and became trapped in the illusions of the third dimensional reality. You were then limited to re-incarnating/ logging-into the physical Earth hologram again and again. Happily, you eventually awakened, and are awakening to, the truth that YOU are actually projecting your holographic energy pattern from the fifth dimension and beyond. 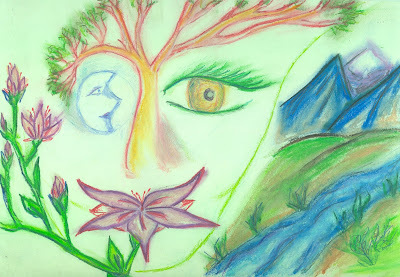 I wish to tell you that I, Gaia, remember and spiritually KNOW each being who has incarnated in any form, whether it be rock, water, insect, plant, animal, human, faerie, Elemental, Elohim or Angel. I feel the great love and dedication of each of my humans who have returned to become my partner in planetary ascension. I also feel those who fear change, any change, because they are too filled with fear to venture out of their comfort zone. For those who are still asleep to their SELF, I offer the same patience that I had while I created mountains and oceans. Time is an illusion, for our holographic reality is projected from the NOW of the ONE. Therefore, that which has been projected onto the fourth dimensional hologram can remain activated for those who need more “time” to awaken and remember that WE are ALL ONE! Thank you for joining me in our great experiment. Just as together we created the projection of our holographic Earth, together we shall embrace our Creator SELF who is our projector of life on third dimensional Earth. It was the emergence of fear that lowered our matrix from the playfulness and creativity of the fourth dimension and into the extreme polarities of light/dark, love/fear, male/female of the third dimension. As we find the center path in-between these polarities, we will travel back through the fourth dimension to return to the Unity of the ONE in the fifth dimension and beyond. Querida Suzanne agradeço os maravilhosos insights que ressoam e emocionam. Por tudo o que representam e para o que impelem na via evolutiva na direcção da Unidade da Energia Suprema, que os Pensamentos que Te surgem continuem a ser partilhados, pois eles mostram o caminho do Bem e do Amor. do we wanna live IT ? Thank you, Sue and Gaia. Thank you! I fell this words in my heart, my soul. Light and Love to all!